In a friend's old old house today, as Amanda records in the basement studio and I write in a corner, while Ash sleeps in his seat beside me. Rain lashes the windows and the wind shakes the shutters, and it seems like a proper English Summer as far as I'm concerned. Tonight UK time -- in a few hours -- I'll be talking to Audrey Niffenegger about the book at Union Chapel. It's very sold out, but you can watch it online via this. Click and it should take you to the livestream. And you can get it online at places like Amazon (http://bit.ly/VfCheapSeats) and Indiebound. Maria Popova at Brainpickings wrote a beautiful piece on one of the essays in the book, the introduction to the 60th anniversary edition of Ray Bradbury's Fahrenheit 451. What View accomplishes, though, is considerable. Broken up into sections — "What I Believe," "Music and the People Who Make It," "Some People I Have Known," "Make Good Art," and so on — his musings shine with wit, understatement, and a warm lack of pretention. He speaks of "backing awkwardly away from journalism" in his youth, the first step of his eventual metamorphosis into an award-winning fantasy author with a fanatical following, and reflects on the patterns that arise in our lives: "Events rhyme." 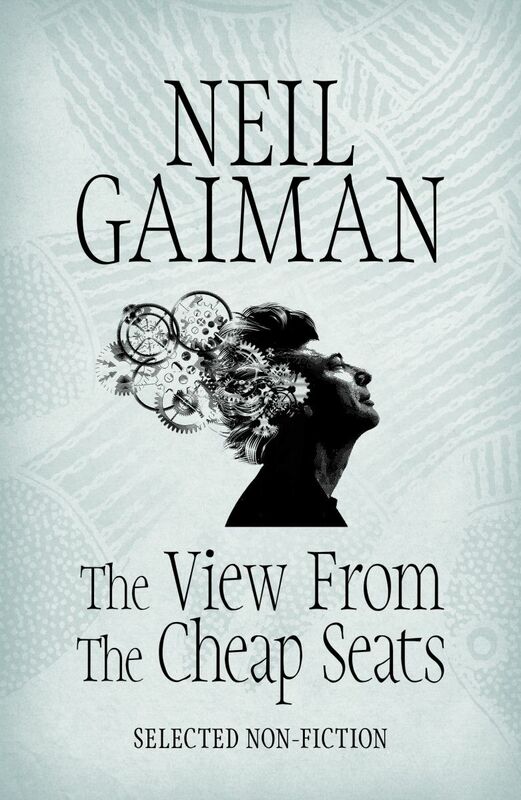 Accordingly, View draws order out of the seeming chaos of Gaiman's scattershot career, from journalism to comics to novels to children's books to screen adaptations. He talks about his life, but always through the lens of an external subject, usually on object of passion: the superhero comics of the legendary Jack Kirby, the transgressive songs of Lou Reed, the way "the shape of reality — the way I perceive the world — exists only because of Doctor Who." 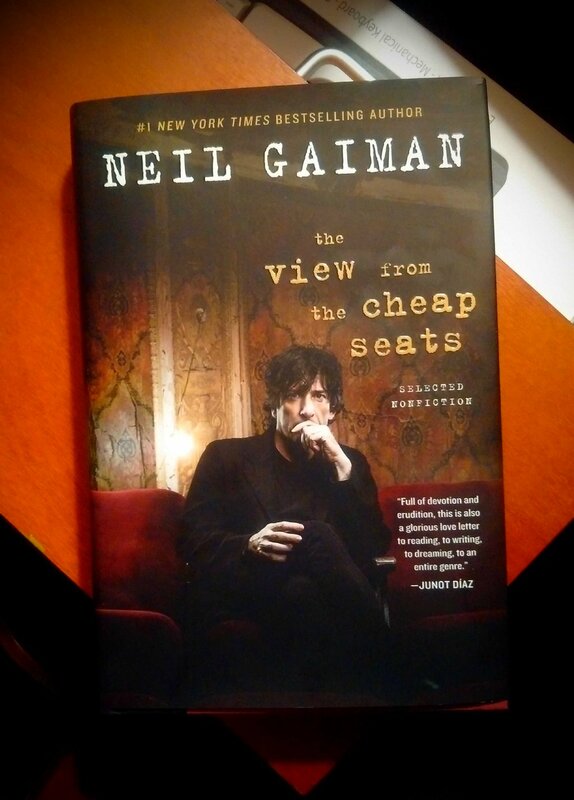 That was written in 2003, before Gaiman actually wrote for Doctor Who; similarly, his many ruminations onAmerican Gods, his greatest work of prose, take on a deeper resonance now that the book is well on its way to becoming a cable TV series. Gaiman is a writer above all, though, and his entries about writing and reading make up the meat of View. 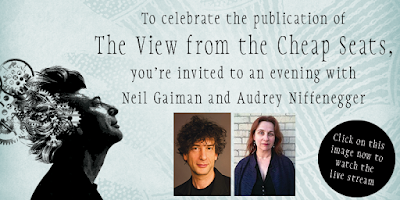 They range from the deeply personal, eerily poignant "Ghosts in the Machines: Some Hallowe'en Thoughts," first published in the New York Times, to an appreciation of the element of dreams in H. P. Lovecraft's work — a particularly illuminating topic, as one of Gaiman's most beloved characters, Morpheus of The Sandman, is the deity of dreams himself. Even more intriguing is "All Books Have Genders," a meditation on the making of American Gods — as well as a humble assessment of his authorial flaws — in which he offers the succinct slogan "Novels accrete," an entire master class on the creative process summed up gracefully in two words. It's a relief that it's published: I don't think I've ever been as nervous about a book coming out as I have been about this one. You can hide behind fiction. You can't hide behind things that are about what you think and believe. 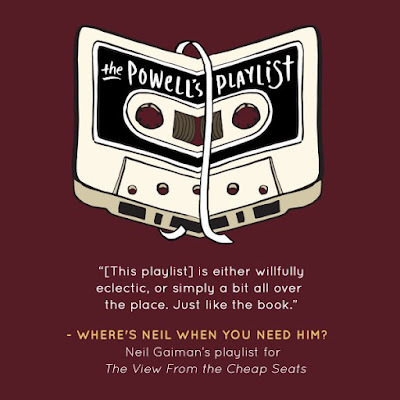 Over at Powells, I wrote a playlist for the book: http://www.powells.com/post/playlist/wheres-neil-when-you-need-him-neil-gaimans-playlist-for-the-view-from-the-cheap-seats- which I'm currently listening to on Spotify, with a lot of pleasure. 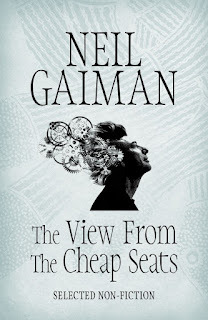 Over on Sky Arts, the first two of the four episodes of Neil Gaiman's Likely Stories have aired. (Here's a review of them.) If you have a Sky subscription, you can watch them online or download https://www.sky.com/watch/channel/sky-arts/neil-gaimans-likely-stories. No, I don't know how you can watch them legally elsewhere in the world, yet. I will tell you when I find out.